So excited to share this beautiful wedding at Laurel Creek Manor orchestrated by Holcomb Weddings & Events . Meghan and Ben were such a treat to work with as well as their families. They chose a very classic pleated buttercream design with fresh floral from Paisley Petals Flower Studio and cake topper by Paper & Pine Co. 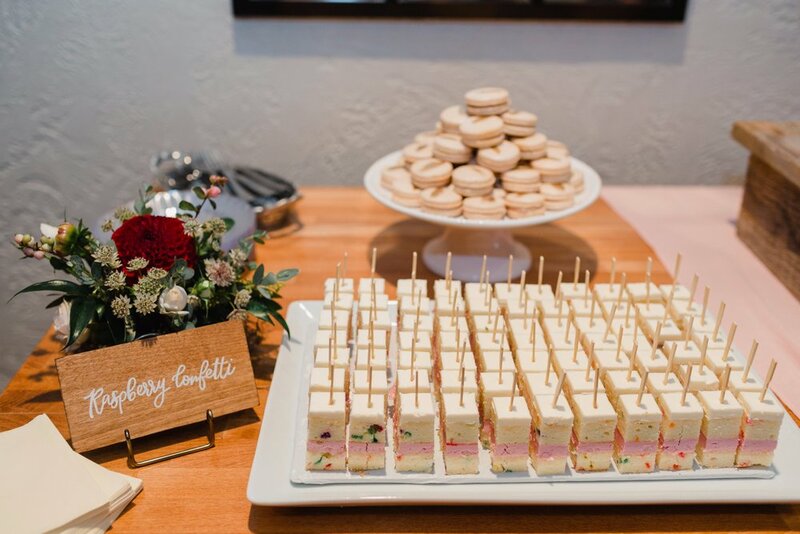 They had our signature cake bites to offer their guests with a delicious assortment of flavors to try including Salted Lime Margarita, Raspberry Confetti and Cinnamon Roll with cute little wood plaques from Chalk Boss. There were also macarons from our friends over at The Sweetside. 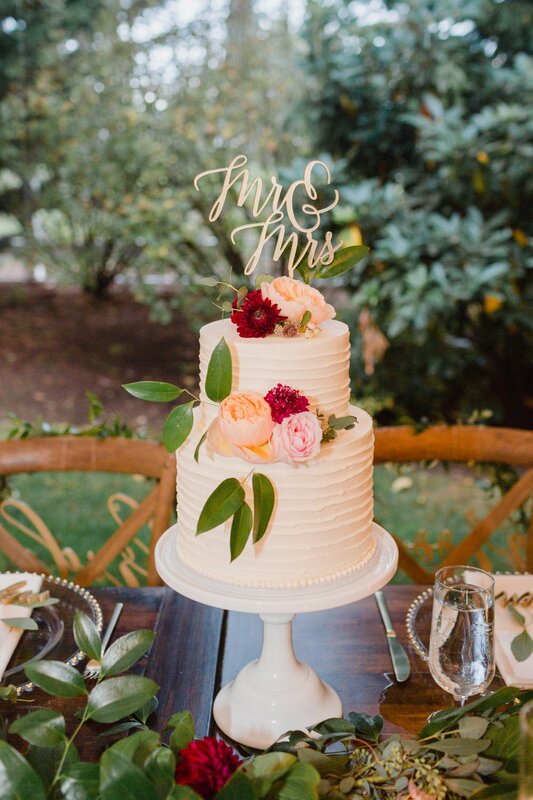 Courtney Bowlden Photography did an amazing job capturing this beautiful display of sweets and so many more moments!